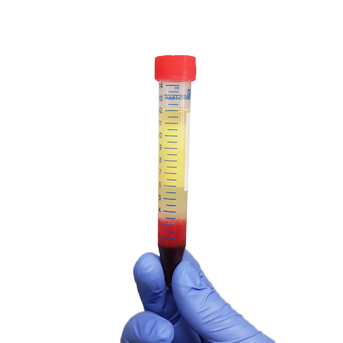 pluriMate was developed for optimal separation of leukocytes and peripheral blood mononuclear cells (PBMC) from whole blood and bone marrow. The key feature of pluriMate is the porous sponge incorporated at the bottom of the centrifuge tube. This barrier consists of high-grade polyurethane. It prevents you from time-consuming and laborious overlaying of the sample material. 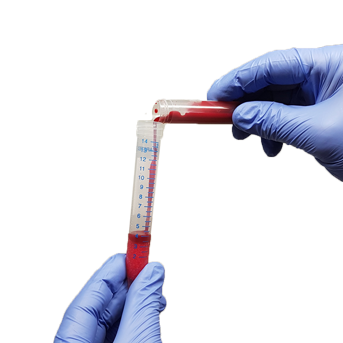 Anticoagulated blood or bone marrow can simply be poured directly from the blood sampling tube into the pluriMate tube. 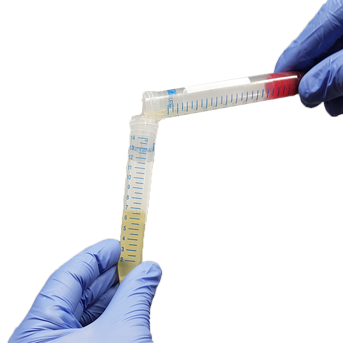 The porous barrier prevents mixture of the sample material with the separation medium. During centrifugation, leucocytes, lymphocytes and PBMCs are separated from unwanted erythrocytes and granulocytes, depending on the density gradient used (Leuko Spin, Lympho Spin, PLT Spin etc.) on the basis of their density and enriched in an interphase above the separation medium. When separation is complete, the barrier prevents recontamination of the enriched cell fraction during harvest. Regardless of whether large or small sample volumes are to be processed. 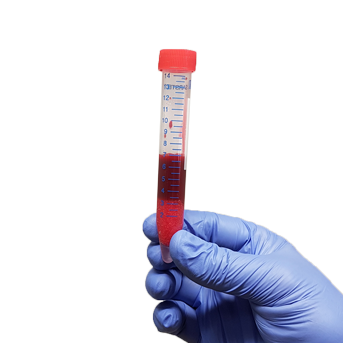 pluriMate is offered in 3 different tube sizes. 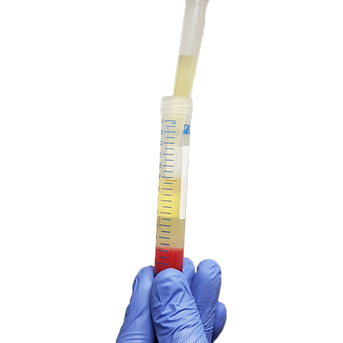 Prefilled with Lympho Spin Medium (1.077 density for PBMC), other pre-filled media on request.